Al Maleka Seondeouk Al Azima is a historical drama following the rise of the first female ruler of Shilla.Seondeouk is torn from her family at birth and reared in exile in the remote deserts of China. There she learns the wisdom and love she’ll need on her long road back to Korea and the twin sister she lost. 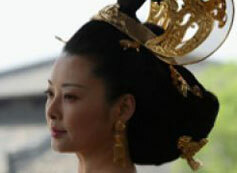 Seondeouk returns to her proper place in the palace with the help of her twin sister Chunmyung and becomes Queen Seondeouk. In a sweeping saga of humor and pathos, Seondeouk earns the loyalty of refugees, con men and the greatest Al Hwarang of the age. 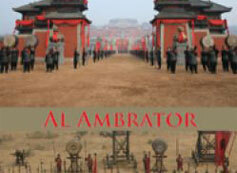 Together they battle the enemies of her homeland-but can they defeat the enemies within? 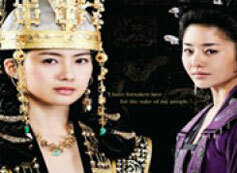 She battles against the powerful Court Lady Mishil, who’s plotting leads to the assassination of Chunmyung. Along the way, she is protected by her loyal guard Kim Yushin, and falls in love with the roguish Bidam. This 86-episode saga was consistently first in ratings from the moment it premiered in Korea, and won many major awards at the MBC Awards, including Top Excellence awards for Go Hyun Jung, Lee Yo Won, and Uhm Tae Woong.